Sometimes I wonder why I have not written more. I was on the Tactical Pay Radio podcast hosted by Dr. Brett Grayson. Brett interviews people in the firearms and self-defense community each week. Brett wondered why anyone would write about armed self-defense. How could someone write a thousand articles about politics and guns? We spoke for about 20 minutes and only scratched the surface. Tactical Pay has lots of great content. 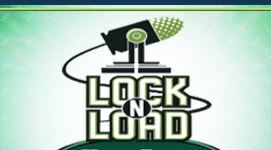 I joined Bill Frady on his Lock-N-Load radio program. Bill is on the air for 15 hours each week. He invites me on in the first hour each Monday evening. That is the easiest spot of the whole week because I don’t have to wonder if I’m repeating something another guest said only 15 minutes ago. Bill asks good questions and often inspires me to write here at SlowFacts. I interviewed firearms instructor Elizabeth Hautman on my weekly Self-Defense Gun Stories podcast. We looked at four recent examples where armed civilians protected themselves or others.. sometimes without firing a shot. I’m reminded each week that Armed America is level-headed and competent. It is a dream job to talk to the eight self-defense instructors who join me. I learn something each week. I’m one of eight co-hosts on Paul Lathrop’s weekly Polite Society Podcast. We get to research interesting people and invite them to tell their story. I get to hear thoughtful people give their take on the news. When I’m not writing show notes, recording a podcast or editing audio, I also try to think things through and share them with you here at SlowFacts. At least my wife knows where to find me. Damn dude, you’ve been busy.